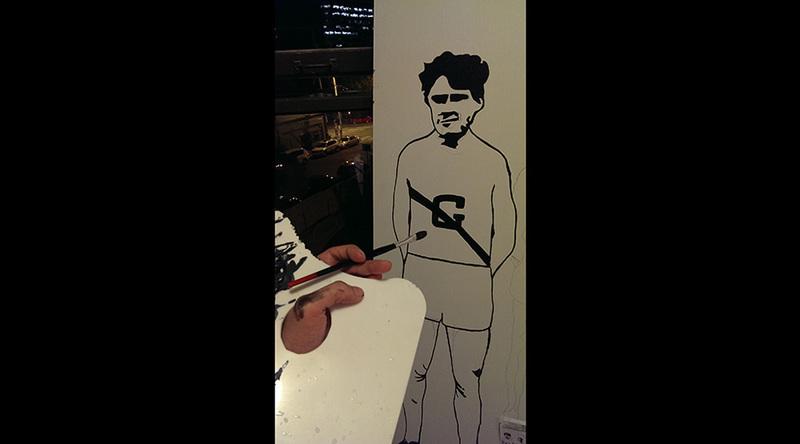 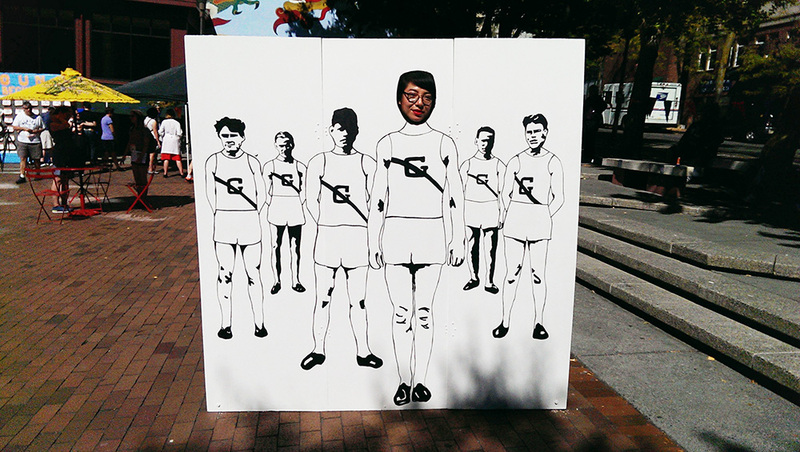 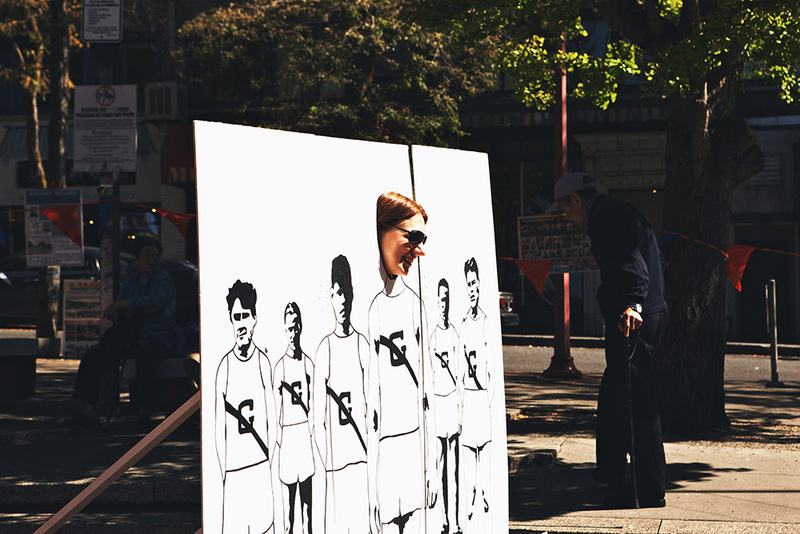 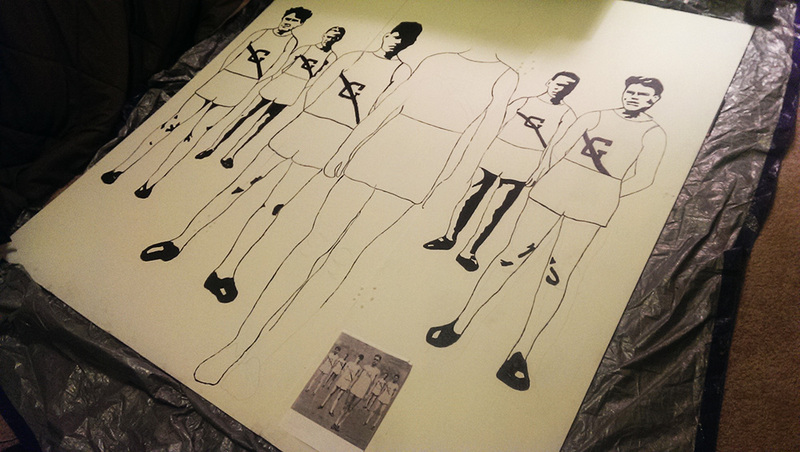 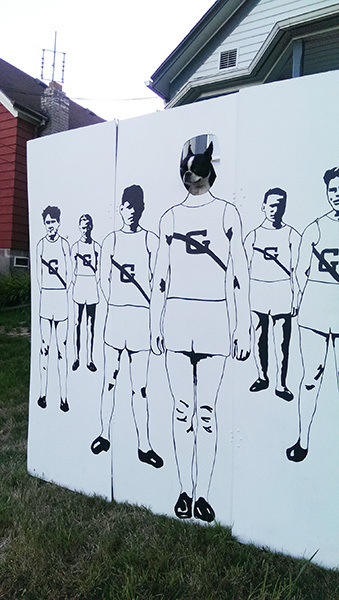 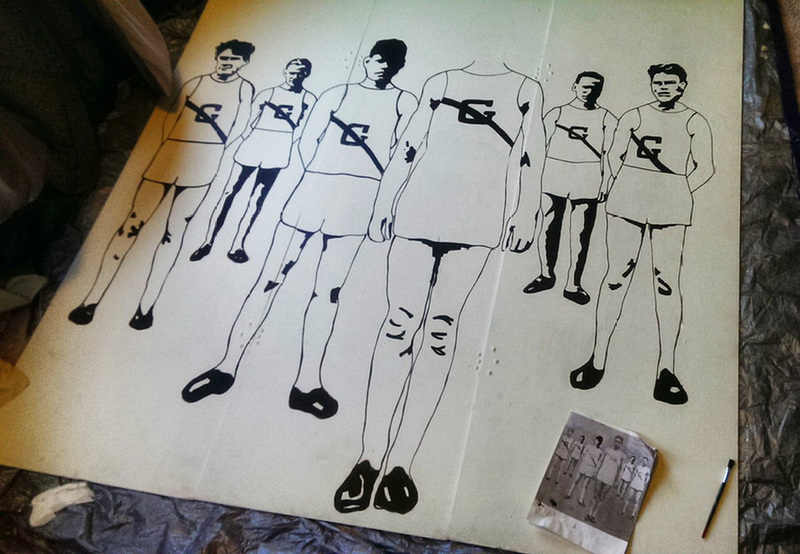 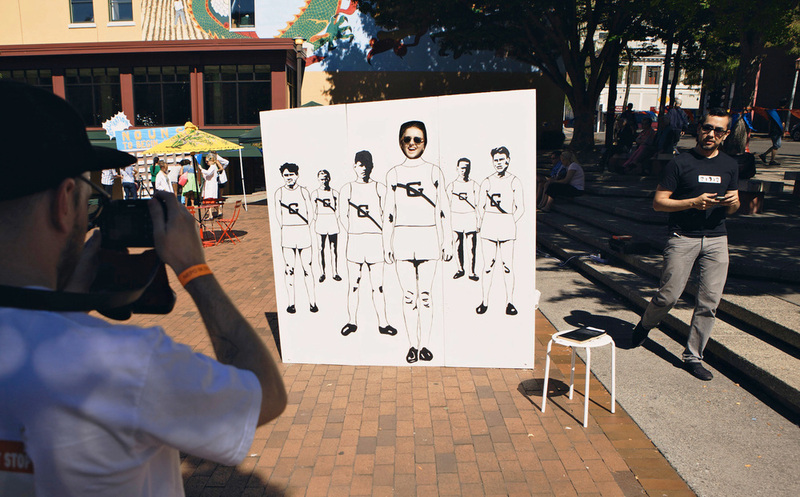 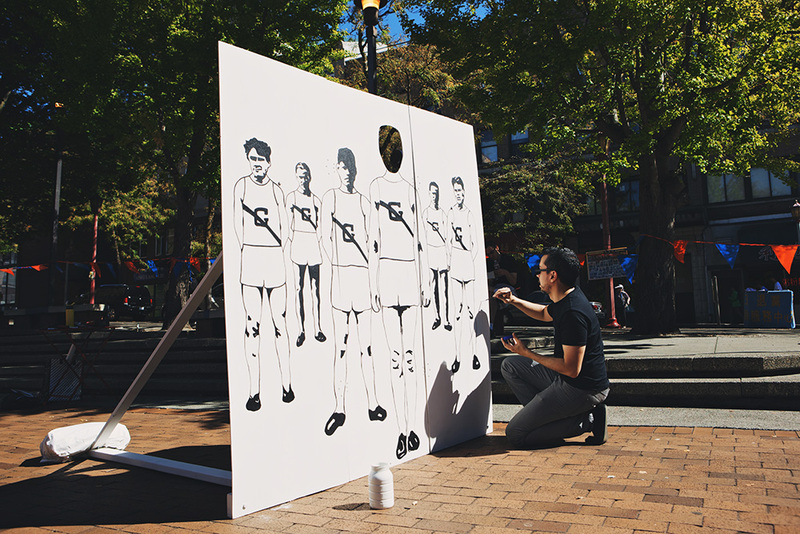 An carnival cutout installation (based on a 1927 Garfield High School track team picture) created for the 2014 Nepo 5K Don't Run. 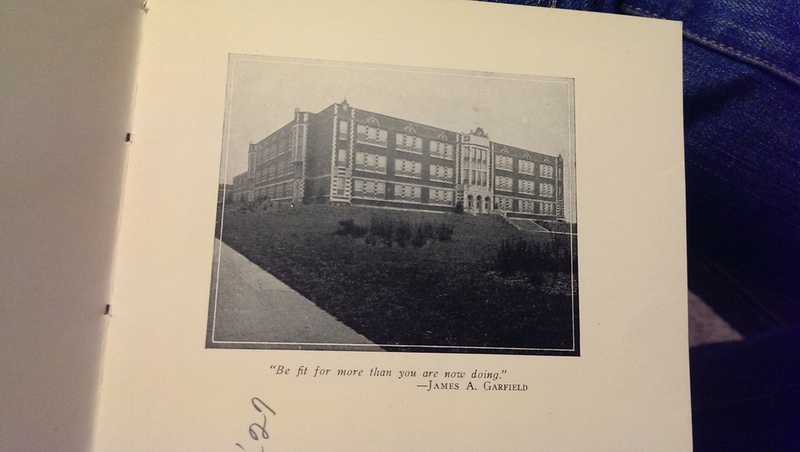 Audio: President James Garfield quote read by artist. 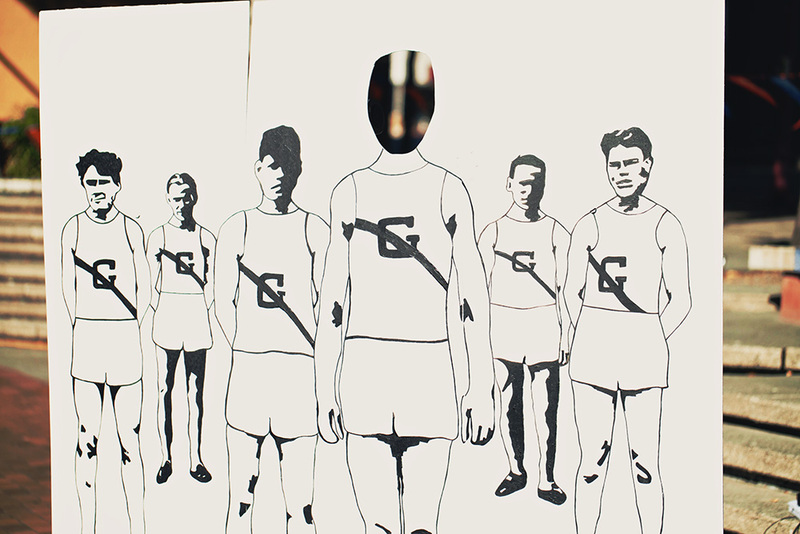 Audio clip of Jesse Owens winning a 1936 Olympic gold medal. 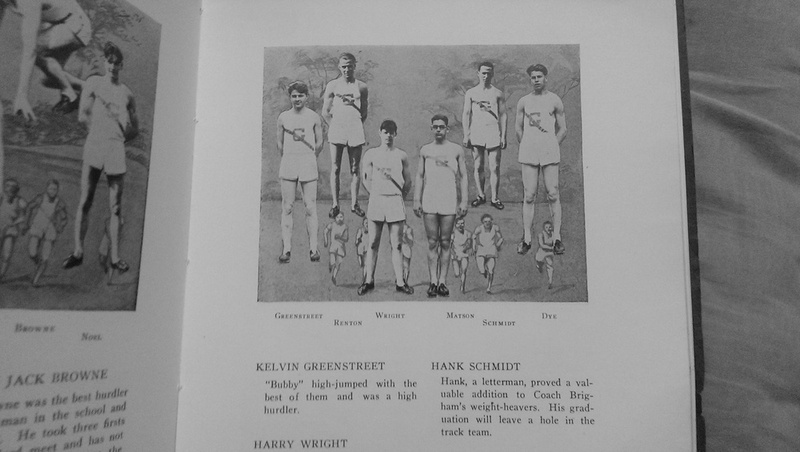 Source image: 1927 Garfield High School yearbook track team picture acquired at estate sale. 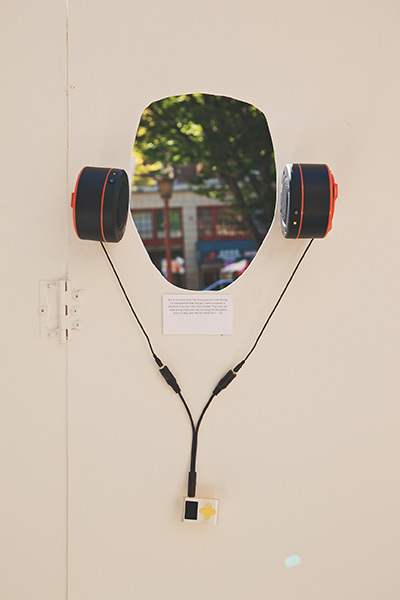 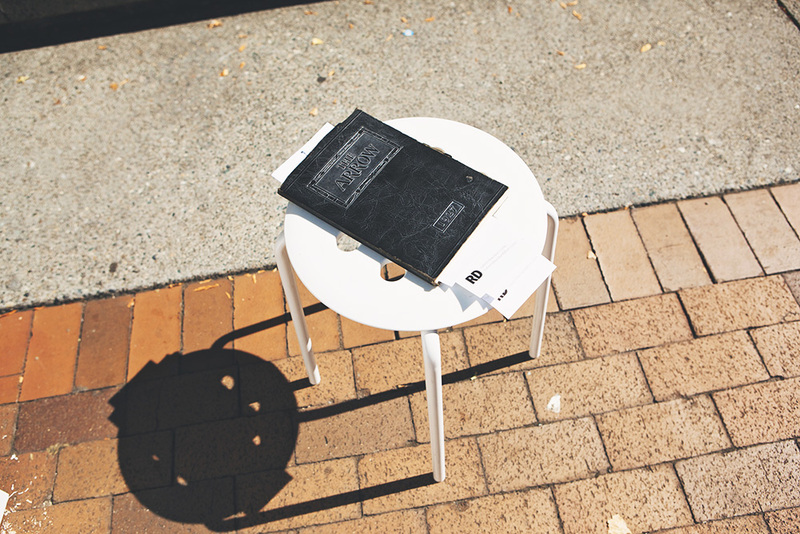 Photo credits: Kari Champoux & Chip Rountree. 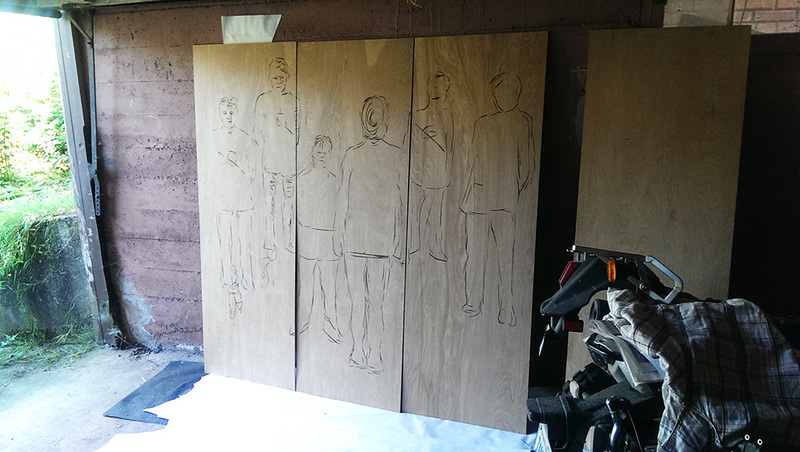 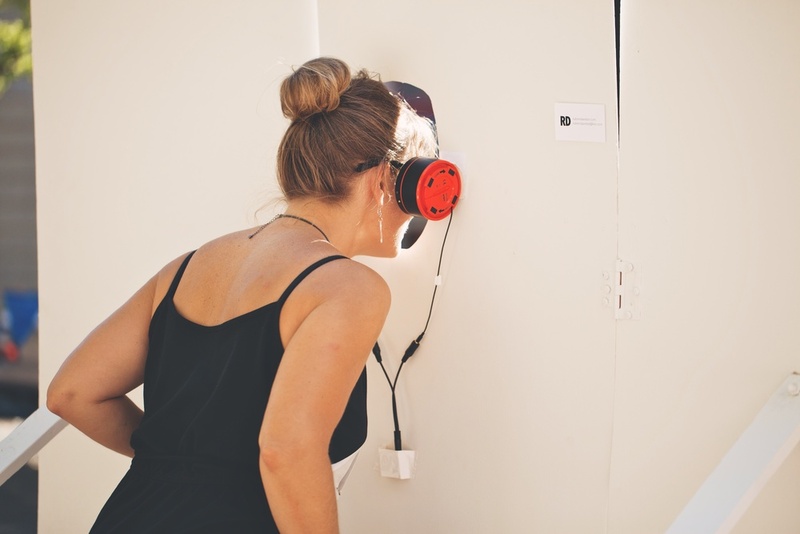 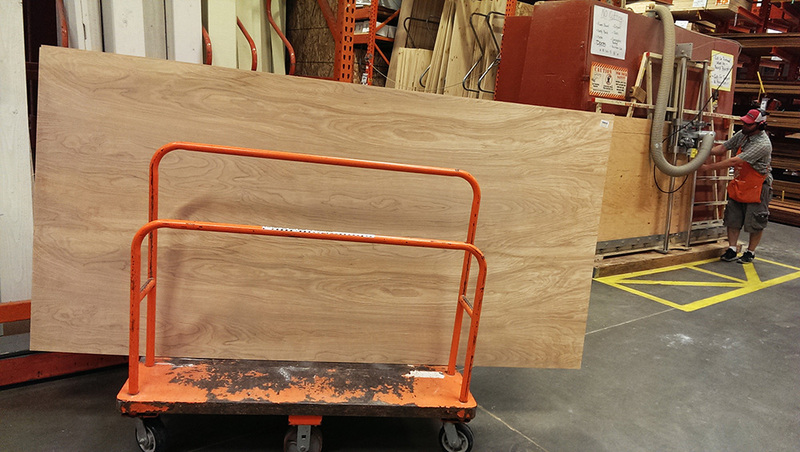 Funding for piece provided by: Jose & Carol Rodriguez. 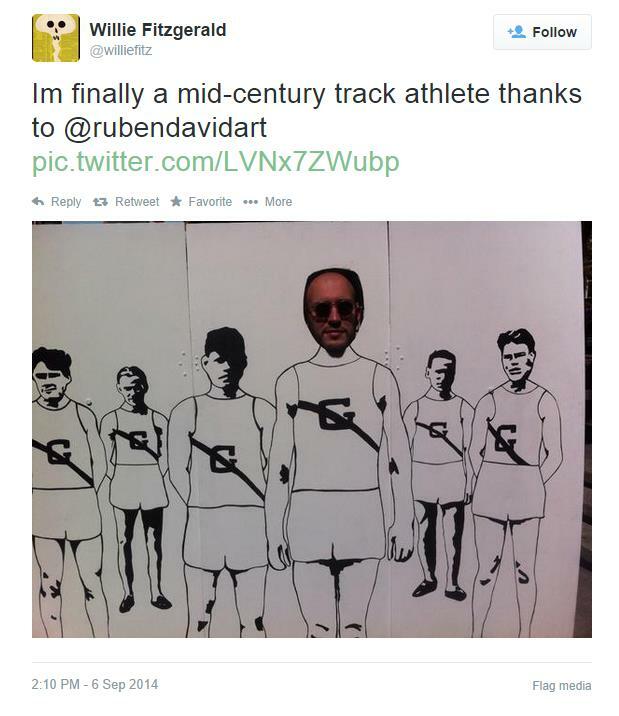 Special thanks: Richard Rodriguez, Rebecca & Adrian Velarde, Marcel Ray, & Sara Stiltner. 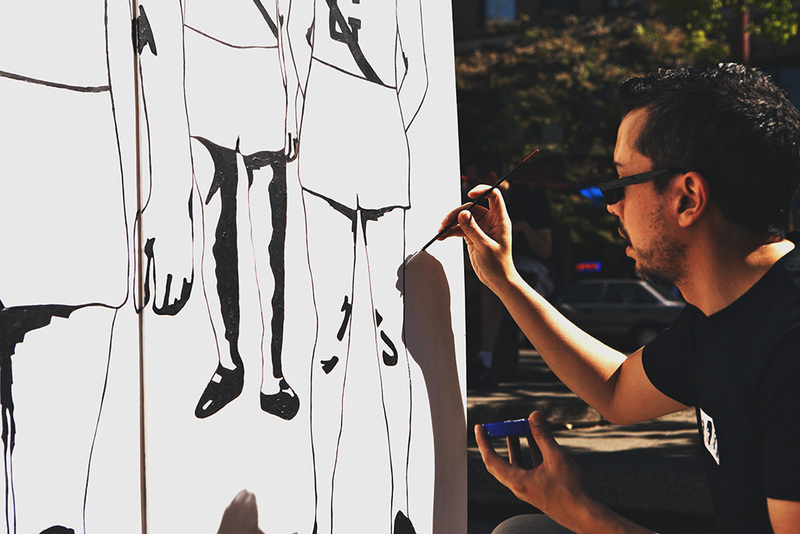 In memory of Jose Rodriguez.